Located in the quaint fishing village of Cedar Key, Florida, right on the Gulf of Mexico. 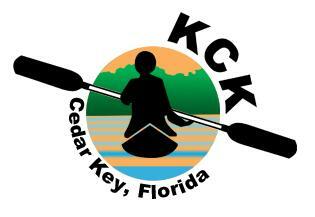 Cedar Key and the surrounding area is a paddling enthusiast's paradise, recognized as a primary gathering area for paddlers from Florida and South Georgia. Kayak outfitter, tandems, sit-on tops, also specially outfitted fishing kayaks available. Rentals, guide service, sales. Ask about their free kayak Ecotours.